Most banks and credit unions have already gone digital by launching a mobile app or an internet banking solution, or both. However, if these touchpoints are isolated from each other or from traditional channels such as call centre or branch, your customers will use them as standalone services with rather low engagement. And you’ll continue losing money on routine operations and IT maintenance of all the siloed products, getting lower income as a result. What’s the solution? 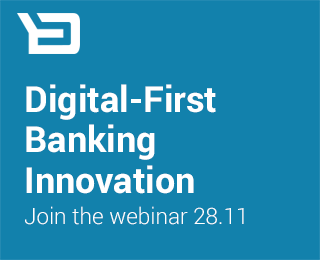 Become a digital-first bank — implement your own smart and nimble omni-channel platform, digital to the core. This means you have to stop tweaking channels and products, reinvent your business model and alter the way of thinking. The three key ingredients for the digital-first banking. Jouk Pleiter, CEO of Backbase, an award-winning IT entrepreneur. Founded in 2003 in the Netherlands, Backbase has become a leading global provider of omni-channel digital banking solutions. The Backbase digital banking platform gives banks the speed and flexibility to create and manage seamless customer experiences across any device — to grow their digital-first business. A seasoned front-end developer and an IT startup co-founder, Tim is responsible for all the technical aspects of the Backbase digital banking platform. His job is to make sure that clients such as ABN Amro, Al Rajhi Bank, Hellenic Bank, Central 1 and others create superior digital experiences for their customers using Backbase technology. Until this month, SoFi’s insurance offering was limited to life insurance.